Get from here to there...without stopping to ask for directions! The Navigation Radio utilizes Global Positioning System (GPS) technology and is seamlessly integrated into your vehicle. 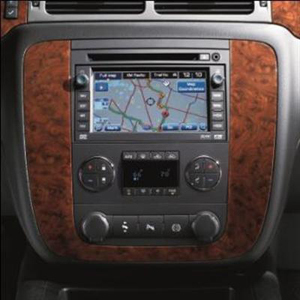 Features a single slot player for the navigation DVD or CD, as well as AM/FM/XM (if vehicle is equipped with XM) Radio. The user-friendly, 6.5-inch LCD touch screen makes address inputs quick. Easily follow the navigation directions on the screen or from the voice-guided commands. Includes a U.S. map database with major streets and points of interest.